In honor of our rabbit workshop this weekend, I am posting the recipe we had in Southern Distinction Magazine last summer. Their pictures are way more impressive than mine but it tastes delicious no matter who takes the pictures. Looking for a great soup to warm you up for the winter. This soup is a wonderful addition to your meal rotation. Fancy enough to share with friends or make for lunches for the week. You will not believe how easy and tasty this soup is. This unusual spice transforms ingredients you already have in your kitchen to something special. Kids will love the tanginess and creaminess of this dip. Move over ranch, we got a new kid on the block. Eggplant acts like tasty noodles in this recipe that will make you wish eggplant was ripe all year long. It's really great comfort food and would make an amazing dinner for friends that you want to spend time with. This recipe uses all the gorgeous produce that's available right now. It's fresh and filling. This will make your house smell amazing for when you want to impress guests. Enjoy this recipe for the rest of the summer. Salsa is a staple in our house. We eat it with chips, on eggs, mixed into frittatas, topping for potatoes, etc. You can't go wrong with freshly picked tomatoes, peppers, and onions. Wow your friends at your next barbecue when you say, "I made the salsa myself." Here's a classic southern dessert that can be made with whatever soft fruit is in season. 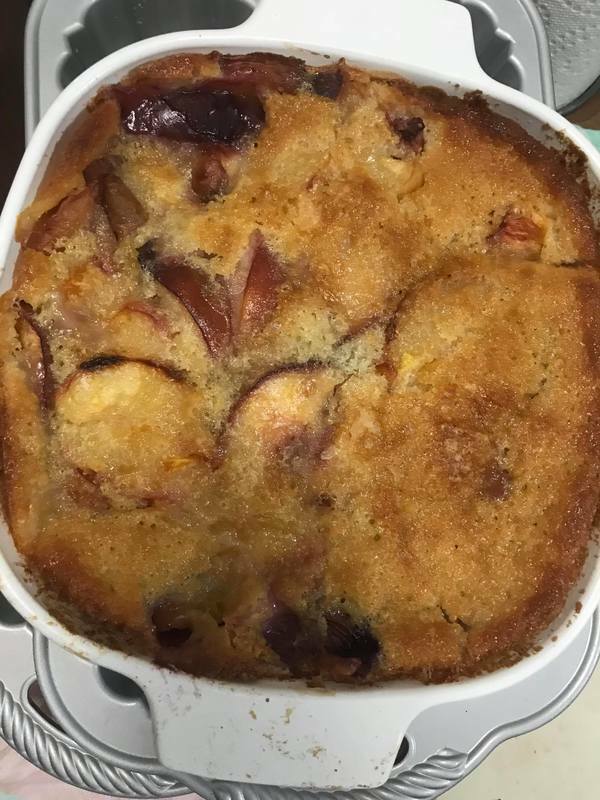 Right now, we are in peach heaven and my kids love this cobbler. Come by and get your peaches while they are in season and extra to freeze so you can make this all winter long. If yumminess were a scale, this would be off the charts! This recipe has it all: salty, creamy, tangy, garlicy. Yeah, it's good, alright. You probably have everything but the cream cheese sitting in your fridge. Maybe not these adorable multicolored eggplants but you can swing by our farm and pick some up on Saturday. This is a great recipe to make for a cook-out or serve as an appetizer to the friends you really like. You can send me a thank-you note later. Eggplant is one under used veggie in my opinion. It comes in all shades of white and purple and can be used as a meat substitute if you are limiting you meat intake. This recipe is more of a technique you could use with squash, green tomatoes, or eggplant. If you love fried food, this is also for you. The best part is that it is not fried!!! This recipe was suggested by my dear friend and fellow rabbiteer, Jo Taylor. We made several alterations to the original recipe including made it a crockpot meal. It was so worth it! I love how amazing the meat is despite the really simple ingredients and almost no hands-on time. If you've thought about trying rabbit, this is the recipe I would suggest you start with.